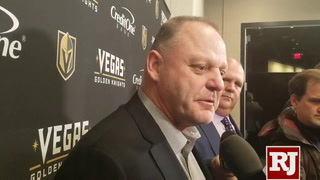 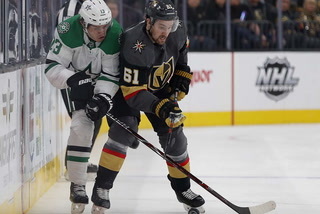 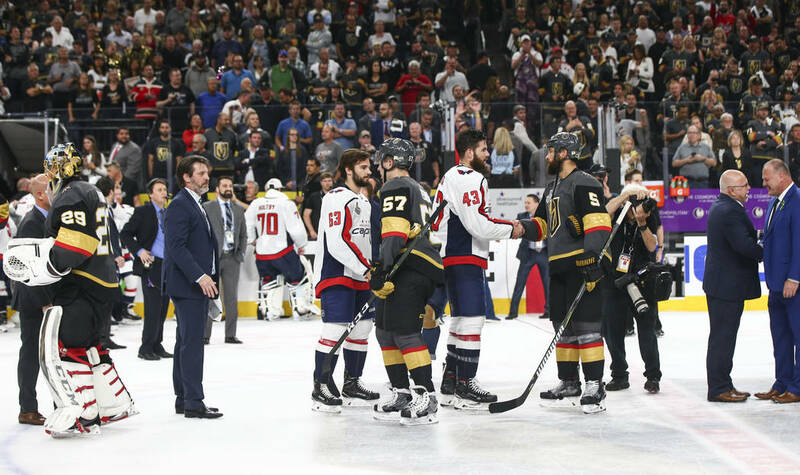 Days and weeks and months will pass and history will be more and more appreciated, but for now, the magical expansion season of the Golden Knights is over after a 4-3 loss to the Washington Capitals. 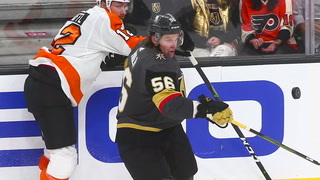 This is the cruel part: You don’t always get the storybook ending, even when the tale has been so astonishingly memorable. 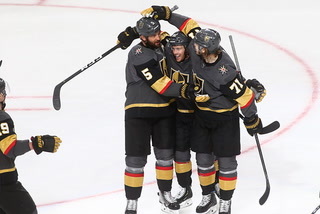 It seemingly ends so fast, so sudden, that the bigger picture gets lost in the immediacy of a final chapter and you’re the ones watching as others celebrate in unrestrained joy. 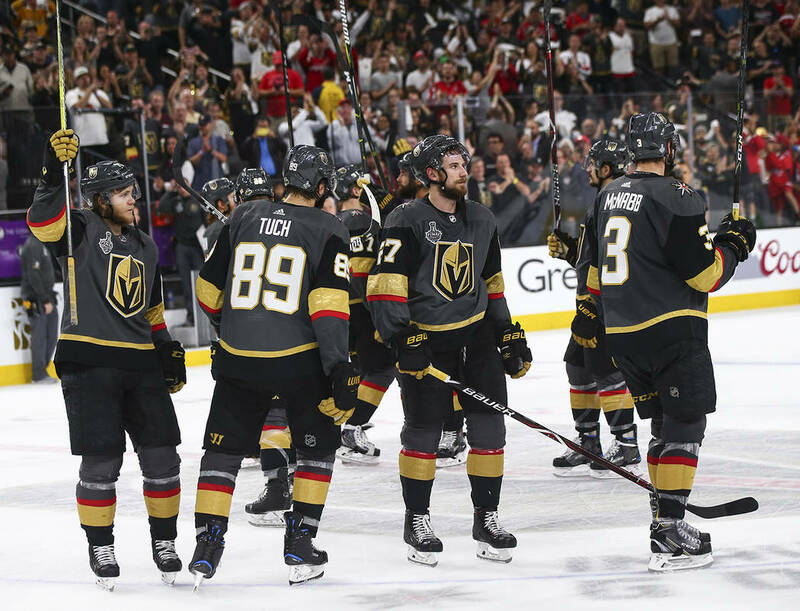 Days and weeks and months will pass and history will be more and more appreciated, but for now, the magical expansion season of the Golden Knights is over, its conclusion coming in Game 5 of the Stanley Cup Final. 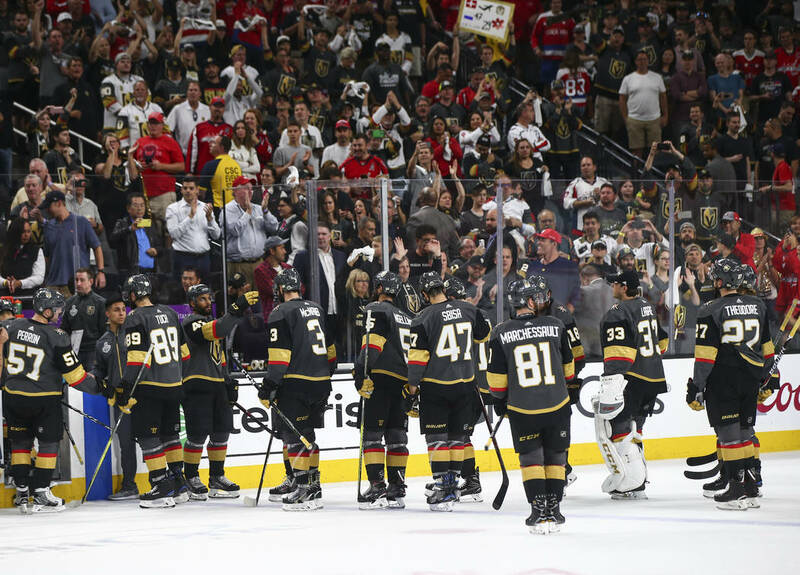 Washington is your champion and deserving in every manner, having defeated the Knights 4-3 on Thursday night at T-Mobile Arena, where a large contingent of Capitals fans made their way into the enemy’s home to watch their team win its first Cup in 43 years of existence. 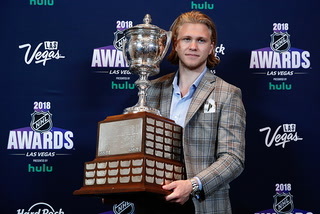 There was a lot of red in the place. 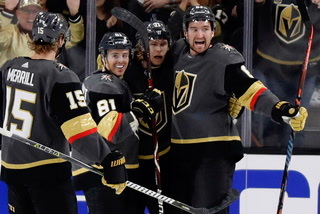 They weren’t going to miss it. 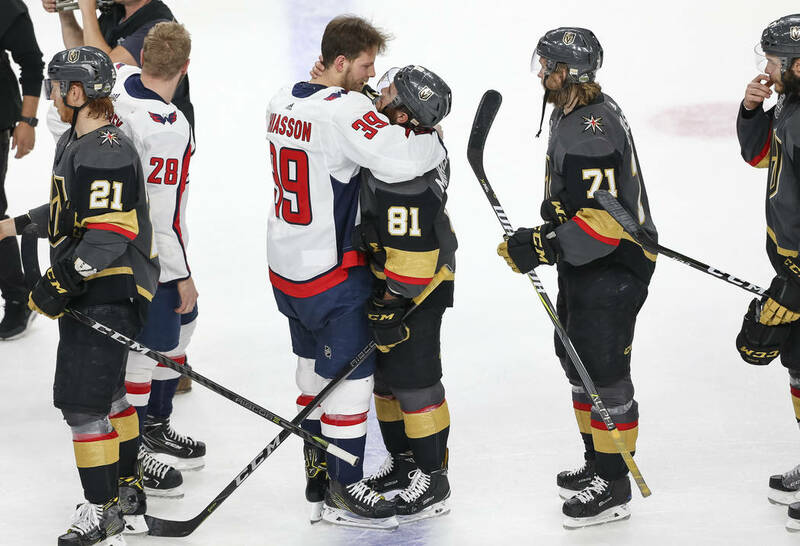 The Capitals won this best-of-seven series 4-1, and don’t for a second strain yourself searching for an area in which Vegas had the upper hand. 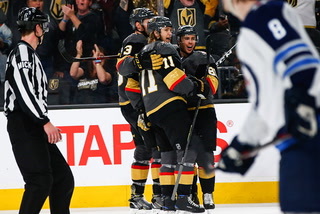 There was none. 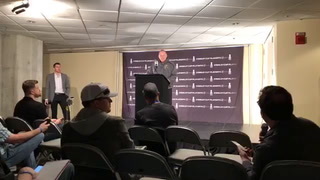 Washington was better in every phase over five games. 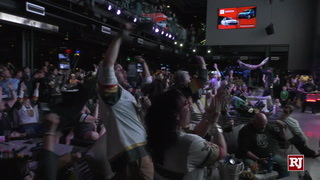 The team holding aloft the Cup more than earned it. 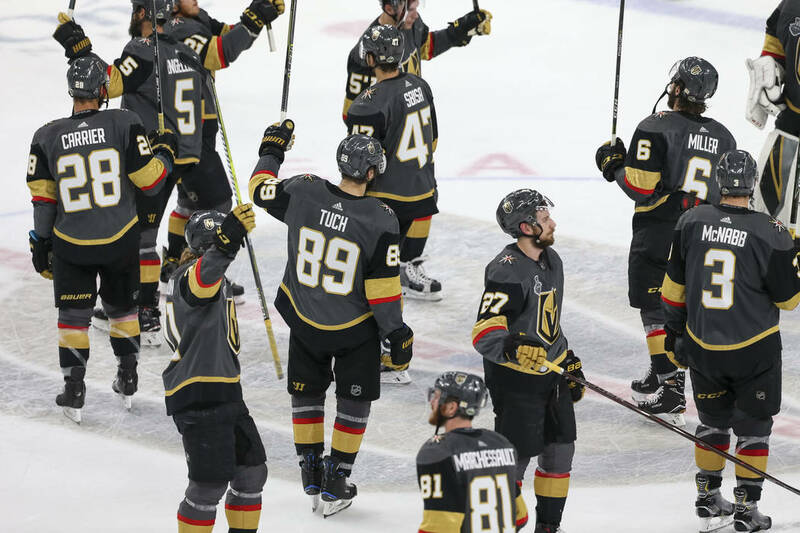 In the end, after a traditional handshake line in which hugs and congratulations were exchanged, the 500-1 long shot to win the Cup before the season, the team that bonded with a town over a mass shooting that altered the trajectory of a first-year franchise and those who would faithfully follow it, acknowledged what was a thundering ovation from the hometown fans. 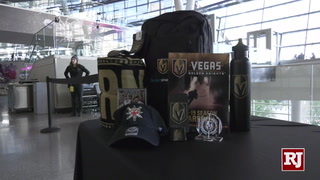 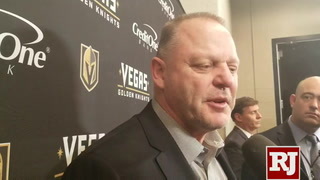 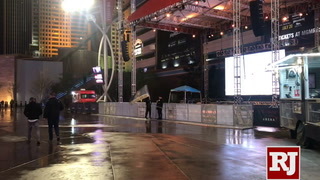 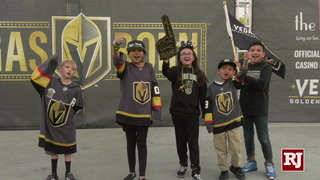 The Raiders and the NFL will arrive in 2020 and Las Vegas as a sports community will change forever, but never will Southern Nevada experience the sort of journey a hockey team took it on the past nine months. 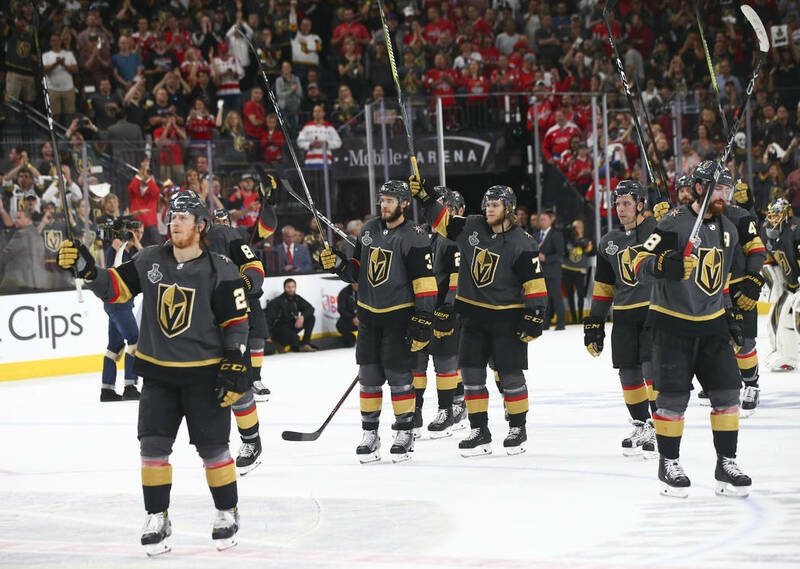 “I think we’ll remember the group in this room most,” said Knights defenseman Deryk Engelland, the Las Vegas resident whose stirring and emotional speech at the home opener to honor the 58 dead and hundreds injured and first responders from the shooting will stand as a signature moment to the inaugural season. 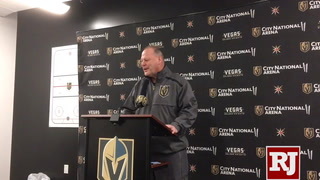 “After such a horrible tragedy, to go on this run and get this far, there were a lot of positives. 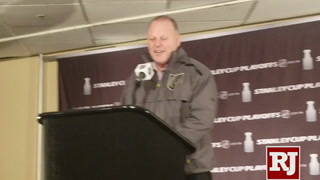 Washington is your Stanley Cup champion, deserved in every way. 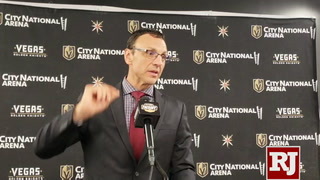 It had the better offense, the better defense, the better special teams, the better goaltending, the better everything. 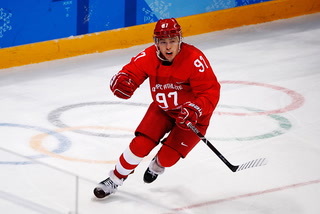 One of the game’s greatest players to glide across NHL ice also has his title, as Alex Ovechkin is the first Russian-born captain to win it all while also being awarded the Conn Smythe Trophy as the MVP of the playoffs. 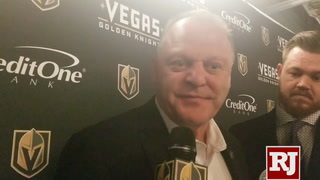 Vegas, however, was the better story. 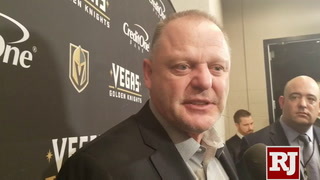 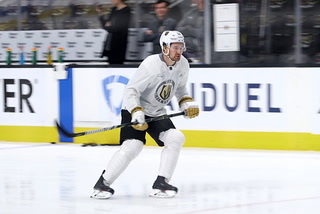 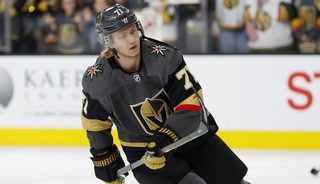 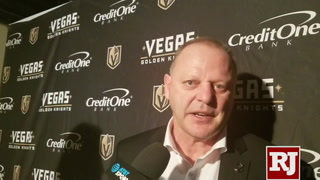 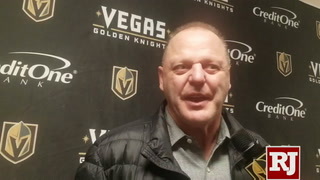 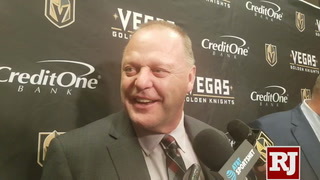 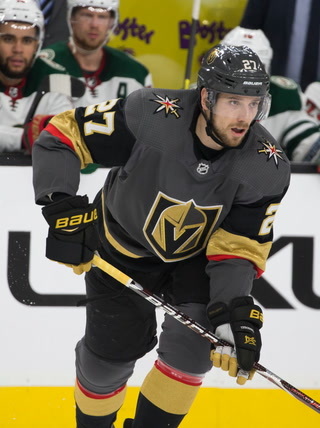 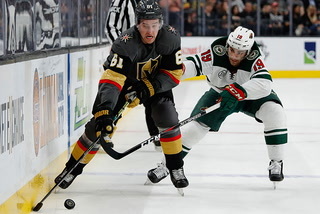 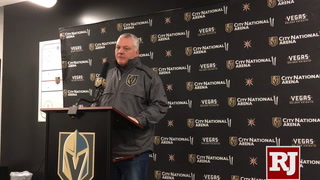 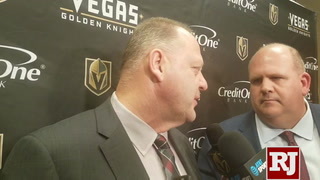 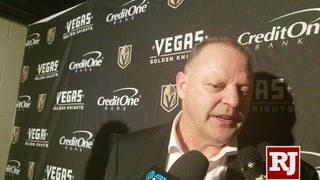 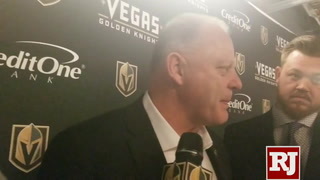 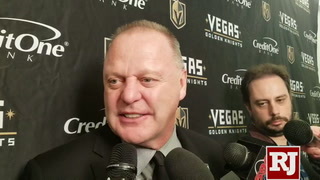 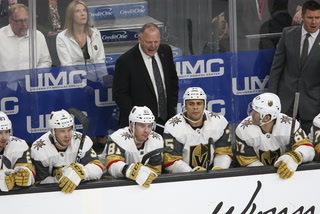 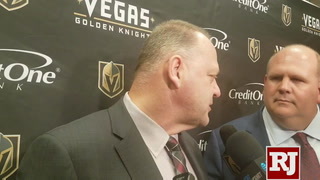 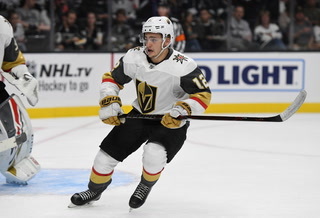 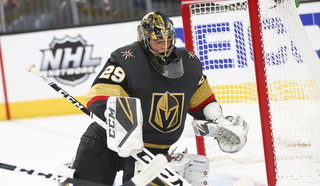 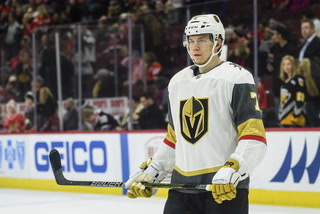 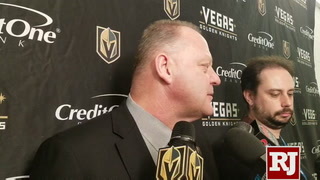 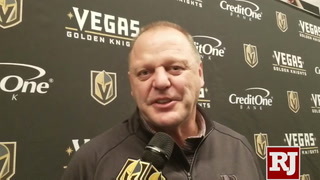 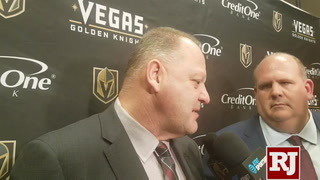 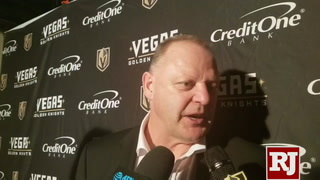 It was Thursday morning, and another standing-room-only collection of fans had gathered inside City National Arena in Summerlin, there again to show its faith and adoration and commitment to the Knights, there to inspire on a day that the team needed such encouragement more than any other point this season. 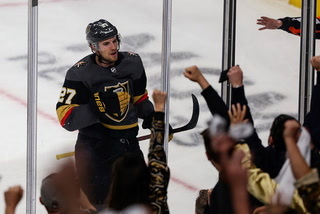 Those decked in Vegas colors held signs throughout the stands, offering words of motivation and, well, some pretty straightforward advice. 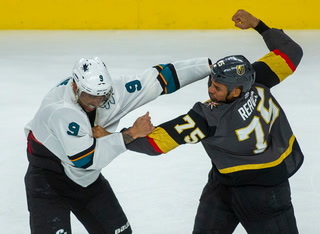 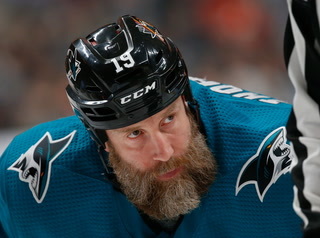 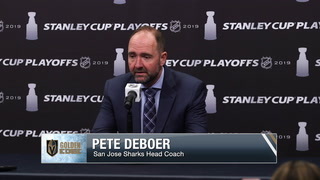 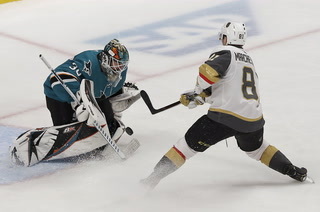 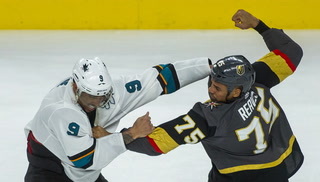 The Knights actually were in Game 5, more than at any other time during the series, staring adversity in the face and striking back time and again, answering scores with their own and showing the sort of resiliency they displayed earlier in the playoffs while dispatching the Kings and Sharks and Jets. 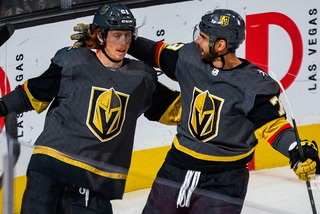 Margaret Mitchell wrote that tomorrow is another day, and it’s true that another season for the Knights will eventually commence, sooner than you might expect. 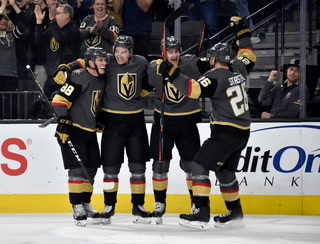 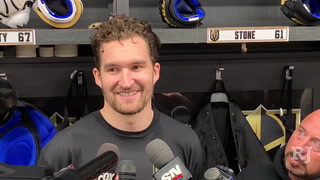 But if storybook endings never really appear and they’re just someone’s way of leading us to a conclusion, a room full of players not wanted by their previous teams directed Las Vegas on the most amazing of voyages before it ended with another team celebrating. 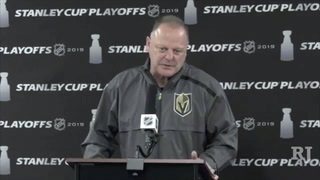 That’s the cruel part, of course, the immediacy of a final chapter. 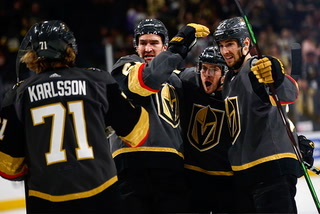 But the big picture will stand on its own, ingrained into the fabric of this city, a team and a town and the impenetrable bond it will forever share.